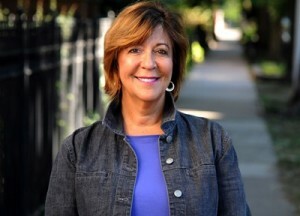 Sara Feigenholtz represents Illinois’ 12th District, which includes Lakeview, Lincoln Park, and Near North neighborhoods. Her commitment to the residents of her district and sponsorship of groundbreaking legislation has earned her the appointment of Assistant Majority Leader of the Illinois House of Representatives. Sara champions a multitude of complex legislative and budgetary issues, reinforcing her statewide reputation as an effective legislator and champion of accessible health care, human services, and adoption reform. Sara’s passion for justice in health care earned her the Chairmanship of Human Services and Appropriations where she served for a decade before her appointment as Assistant Majority Leader. As a champion of women’s rights, Sara recognizes a woman’s right to choose as a fundamental right. She is leading the way in Springfield to expand access to critical women’s health services. This legislative session, she was the sponsor of House Bill 40. This bill strikes the dangerous “trigger” provision in the Illinois Abortion Law of 1975, which states that if Roe v. Wade is overturned then abortion would become illegal in Illinois. The bill also removes discriminatory provisions from Illinois law that denies insurance coverage of an abortion to many women who depend on Medicaid and State Employee Health Insurance. If signed into law, Illinois would join 15 other states that provide women with health assistance funds that cover the full range of pregnancy related care including a woman’s decision to end a pregnancy. Prior to entering public service, Sara was the principal of SKF Consulting, a firm that raised over one million dollars for diverse political candidates and non-profit charitable organizations. As a local small business owner, she has also served as the Executive Director of the Central Lakeview Merchants Association. She actively serves in an advisory capacity in numerous community organizations throughout the 12th District. Sara earned her BA in Political Science and Speech and Performing Arts from Northeastern Illinois University. She participated in the Fellowship program of the Illinois Public Health Leadership Institute and in 2011 completed the Harvard Kennedy School of Government Senior Executives program.